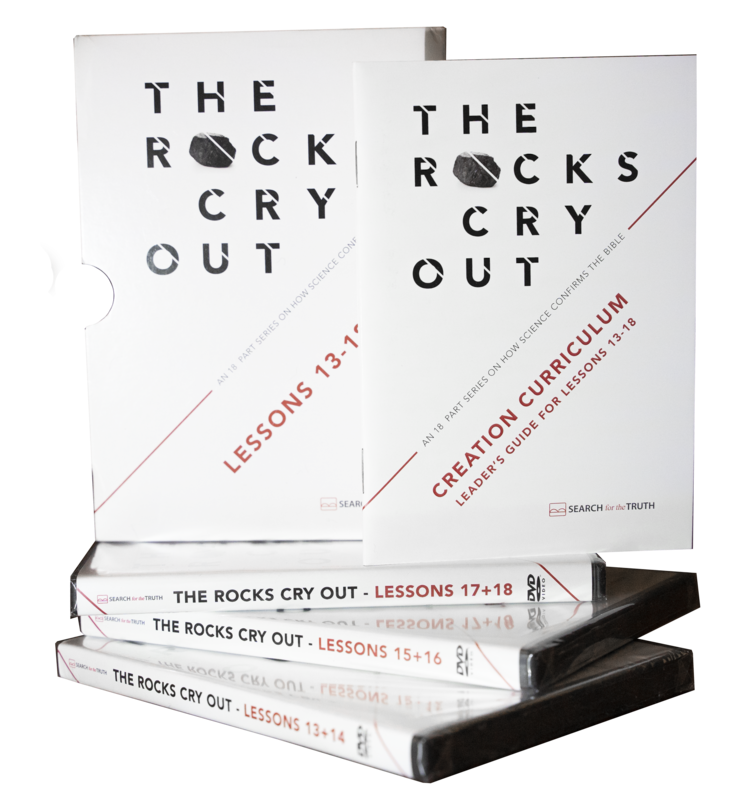 The final six lessons of The Rocks Cry Out are now available for purchase.These 45-60 minute lessons have been filmed on location around the United States and make a wonderful curriculum for Sunday School classes, small groups, and home-schoolers. Put these to use in your home or church to connect God’s Word to science, true world history, and reality. The six-DVD set, including a Leader’s Guide, is priced at only $39.95. Use it to connect science & history to the Bible and educate others with Biblical truth! Thank you so much for Inspired Evidence. I can’t stop reading it. I can’t wait to see each day's Biblical proof for creation. You put things so well in all of your books. Thank you for your ministry. God has used you and your books mightily. I will continue to pray for your ministry. My wife Kay and I went to Peru for our 50th wedding anniversary. We planned this a result of reading your book Brillant. Thank you for all you do for the Kingdom. Your books are GREAT!!! Keep up the wonderful work. I am encouraged as a believer to have you doing what you do. The other day I was teaching to a large crowd at Wright State University and an atheist challenged me on the evidence that design pointed to a creator. I then read the Jan. 31 page from Inspired Evidence to him. He was speechless ...I gave him a copy of your book and he gratefully accepted it. Our Spanish speaking church can’t stop talking about your teaching and books. The youth loved your talks. We can’t wait for you to come back. Last year my best friend “gave up” Christianity in favor of WICCA. He was strongly influenced by the worship of the Earth. Thank you so much for showing we have a creator and morality is not relative. I appreciate the work you are doing and thank God for it. Your Rocks Cry Out series sheds an entirely new light on the formation of rock layers and gorges through them. I hope you will continue to publish scientific evidence for the truth of creation. We so enjoy your books on the evidence for creation. In this country evolution is no longer presented as a theory but considered a fact. It is wonderful to see the truth of creation presented so well. Thank you for this valuable service. Get relevant short science articles every week!